Scare all your friends this Halloween and go all out with your costume with this Spooky Plastic Bleeding Scream themed Mask. 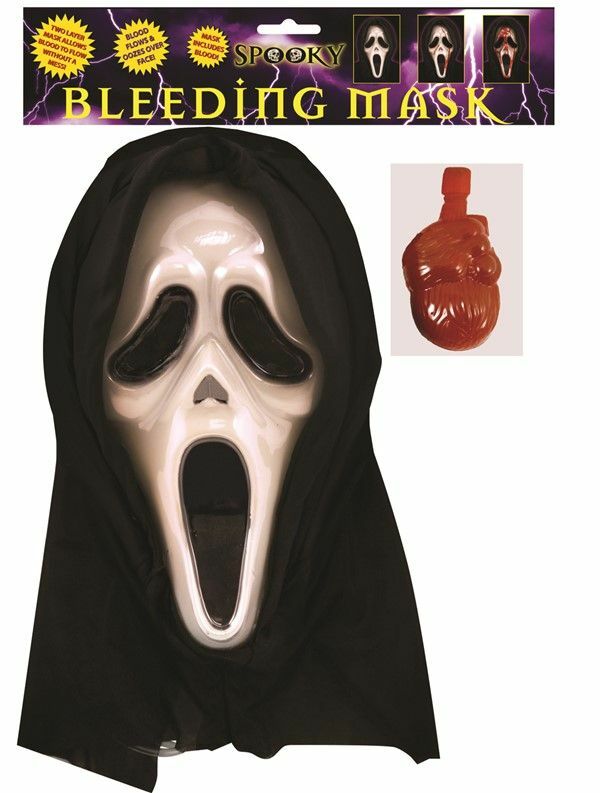 This gory, gruesome mask includes a pump with fake blood, hood and a double layer mask to prevent a bloody mess! This mask is the perfect way to finish off your frightening Halloween costume, it's a must have!